I love tape! 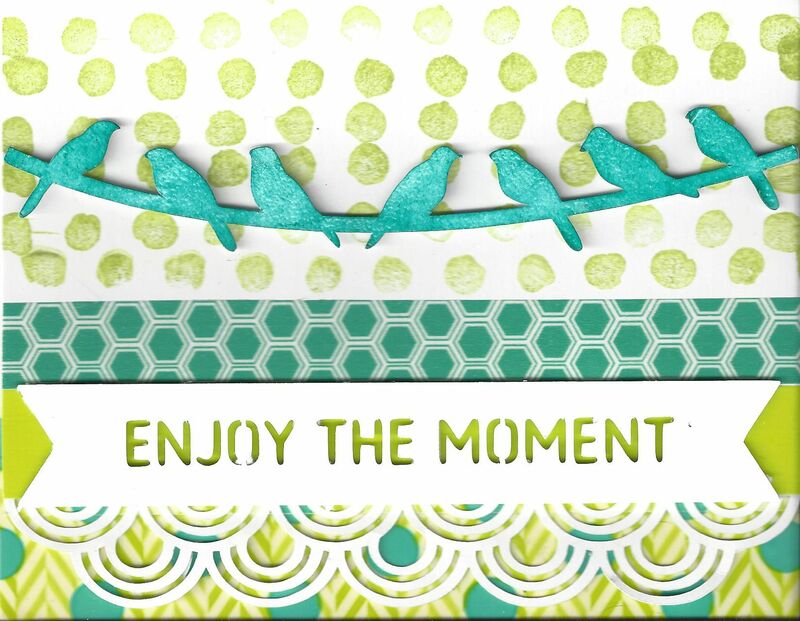 Any kind will do, whether it is Washi Tape, decorative tape, handmade tape, or print and cut versions. Even small bits can add a real oomph to a project. 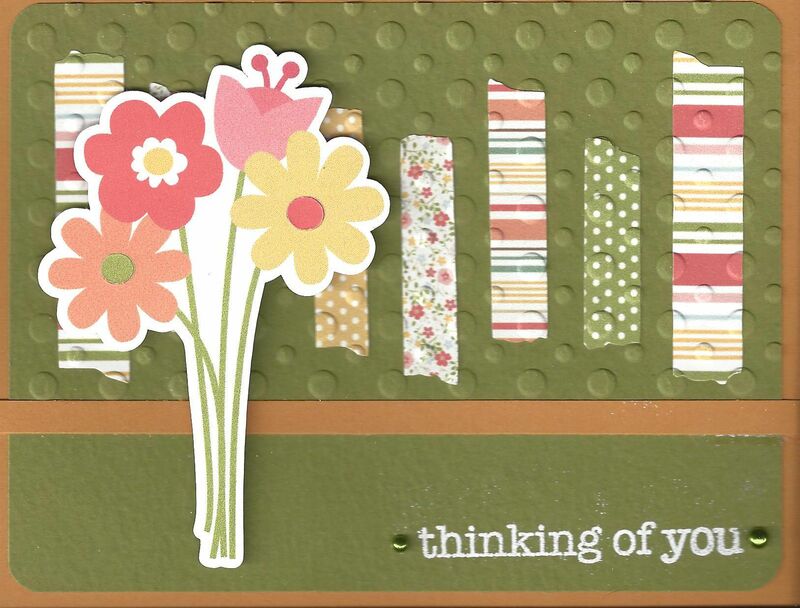 Up first-real Washi Tape cards. 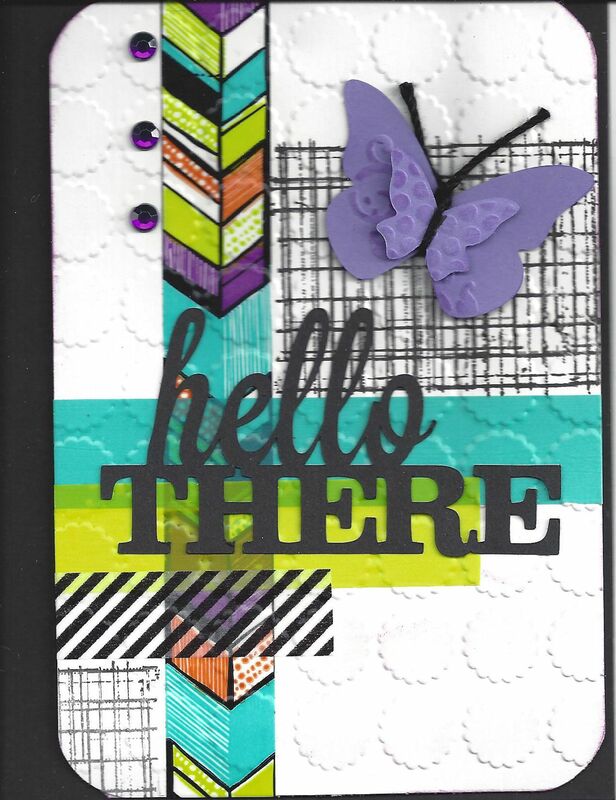 I am especially fond of applying the tape to the cardstock and then running the piece through my Cuttlebug with an embossing folder. 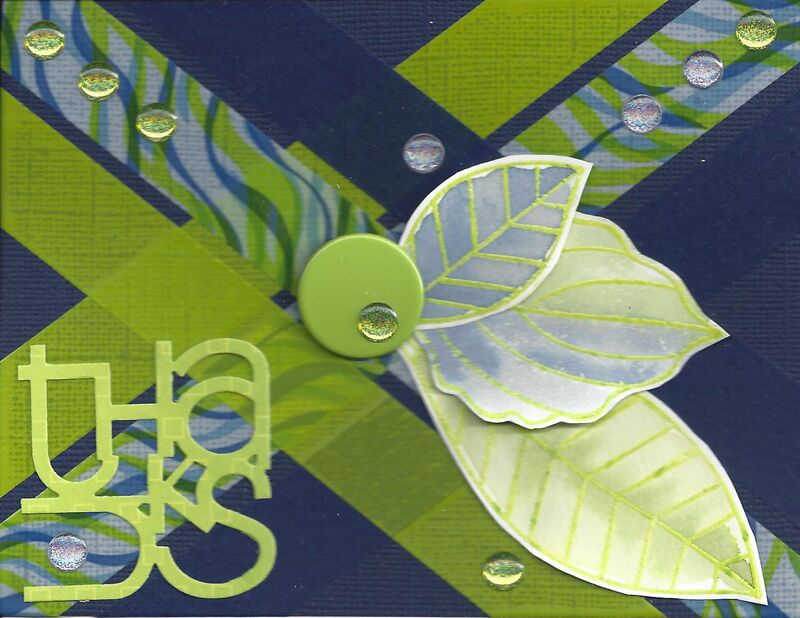 The embossing gives the tape just a bit more dimension. The second type of tape I use Decorative Tape ( Scotch brand). It is shinier than the Washi tape but comes in some really fun patterns, like this arrow pattern which reminds me of Frank Lloyd Wright’s stained glass windows. 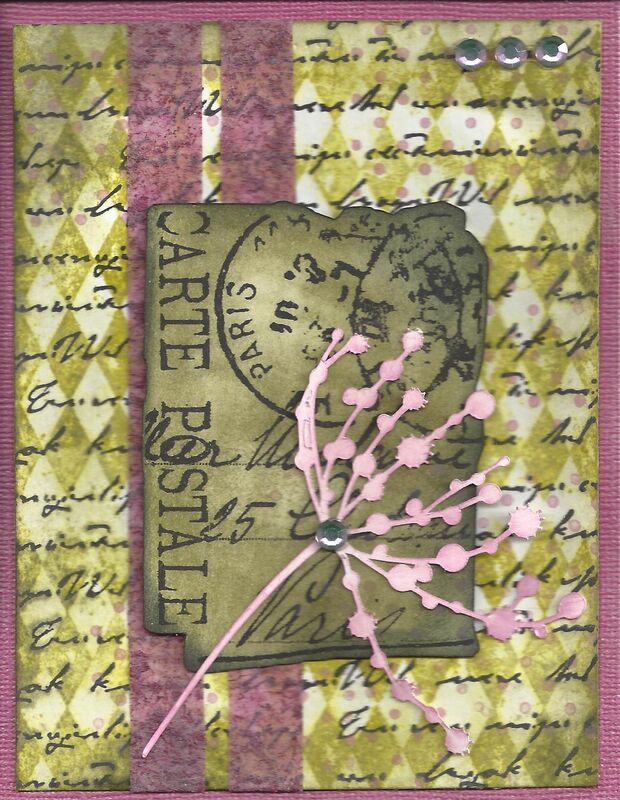 “Faux washi” is also fun to make and use. Any artist paper can be used by applying double-sided tape to the paper and then trimming it down to the width of the tape. Here I used a transparent pink rice paper. Silhouette has several files for washi tapes. 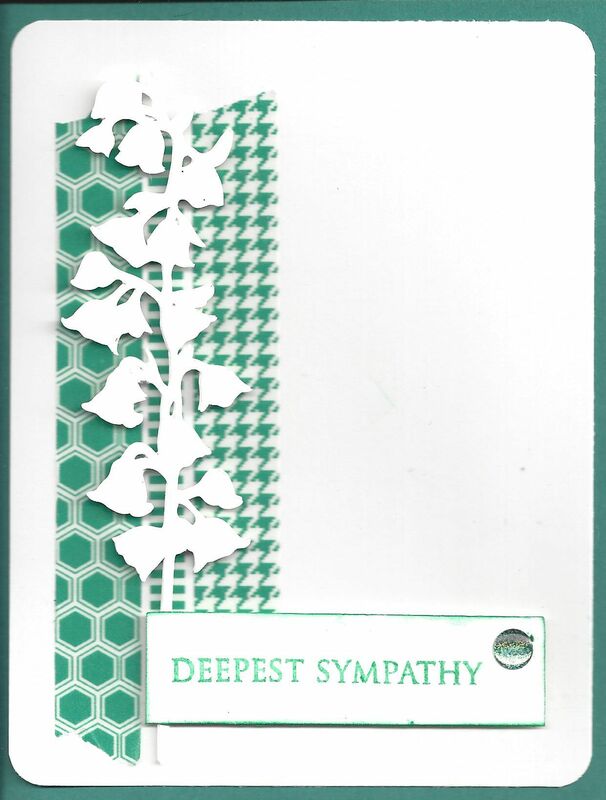 They can be cut out of any solid paper or cardstock or can be filled with designs or patterns and treated as Print and Cut files. 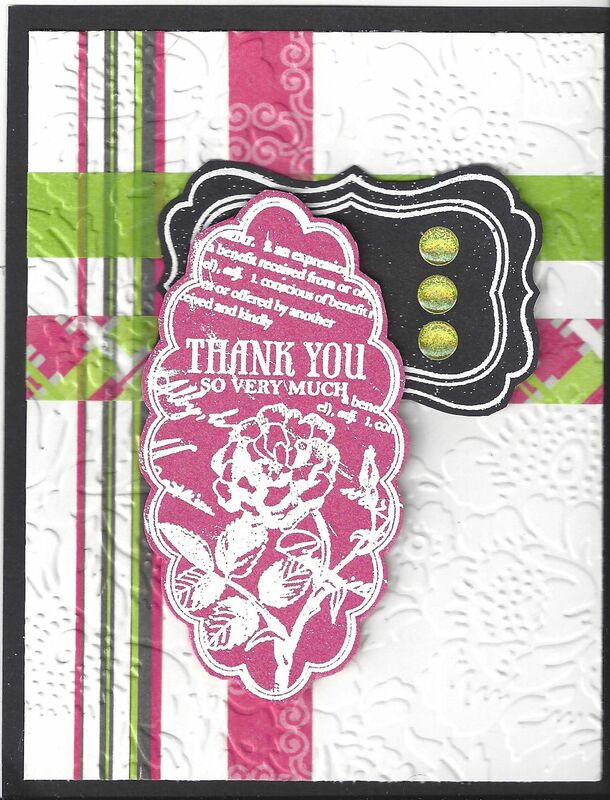 I used white cardstock and printed these tapes to match my embellishments. I like the slightly thicker look as a result of using cardstock instead of paper. 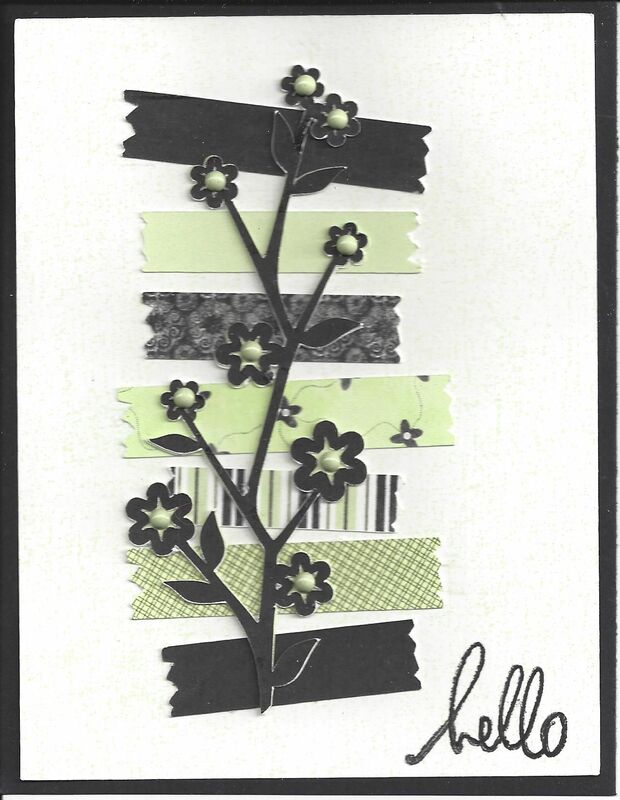 If you need ideas for the use of tape Pinterest is a great place to look. So what are you waiting for? 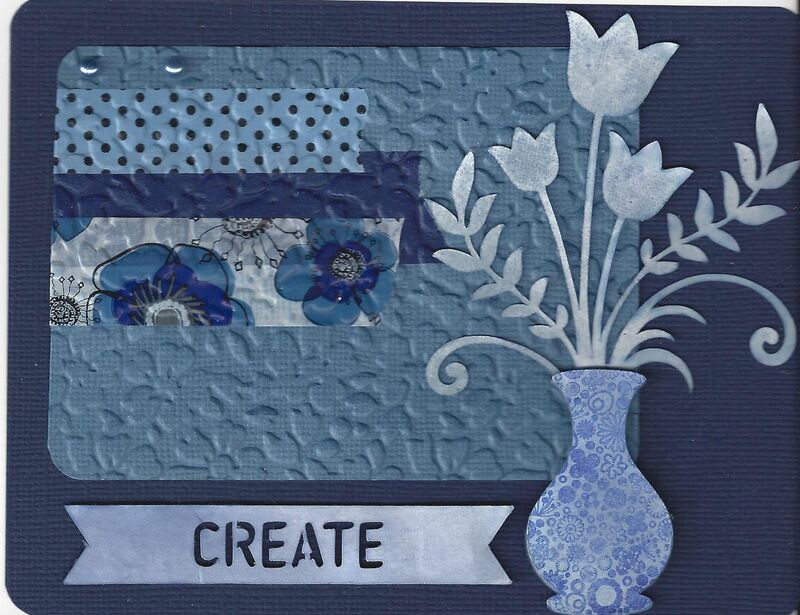 Grab some tape and start embellishing! 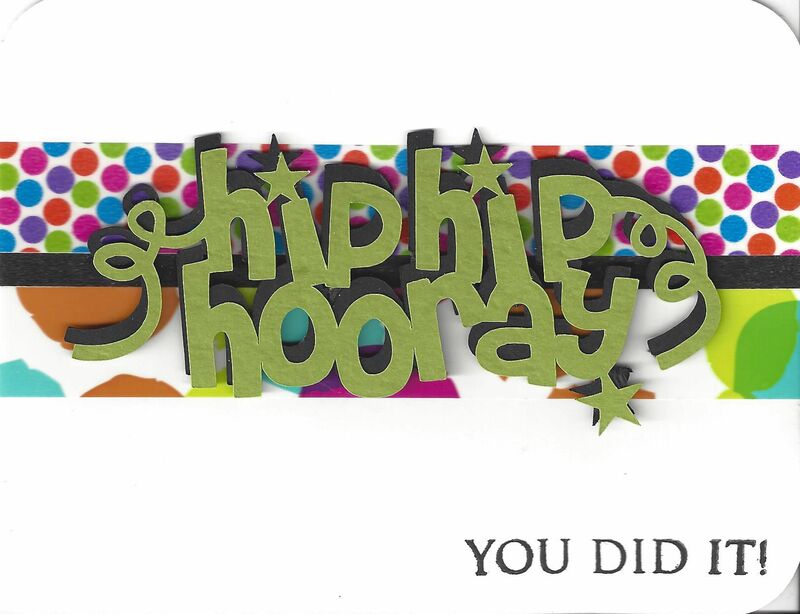 My cards have been published!